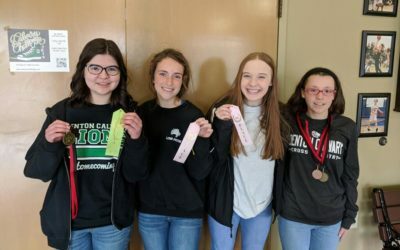 Come see what makes Denton Calvary Academy unique! 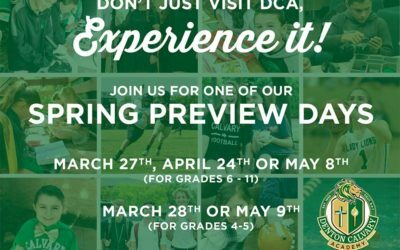 We’ve set aside four times this Spring for you – our prospective families – to visit and get to know the DCA family. 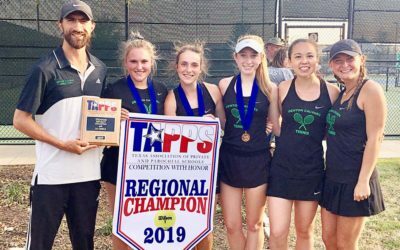 You will have the opportunity to meet teachers and staff as well as current students and families who share your values. 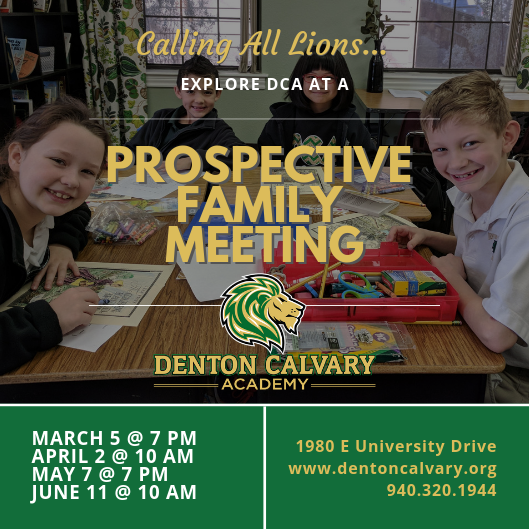 Tour the campus, examine our curriculum, and listen to members of the administration discuss the Denton Calvary difference. All Denton Calvary departments will be available to answer any questions. Prospective families for Transitional Kindergarten through 11th grade students are encouraged to attend. Tours will gather at the Main Entrance in the AARC building at the corner of University and Nottingham.